Archery is a good sport to help you boost your physical and mental health as well as your overall fitness. It can be so much more than a hobby because it will teach you so many things like being patient and having more focus in every activity that you do. Deciding to take up archery as an additional hobby will open your eyes to the many benefits of the sport. Archery is one of those rare sports that is open to everyone. People with disability are also welcome to take up archery and are very capable of being very good archers. There are bows available even for beginners. Even blind people are welcome to become archers provided with special equipment that they can use. Archery can be a very fun sport to play but it also requires physical strength and ability to be good at it. Everyone wants to have some progress in the sport that they choose. In archery, you need to have good upper body strength to improve your game and really see some growth. Archery can definitely exercise your mental abilities to maintain your mental fitness. An archer will have to develop their focus further so they can hit their target even under pressure or other types of detractors. They need to be flexible and be able to think on their toes while they are on the field or when they need to act fast in shooting a target. Archers also need to develop their attention skills for survival. Archery can be a very inexpensive sport if you are not planning to be a professional hunter or join competitions. There are many archery stores and outlets that let you borrow their equipments if you just want to learn the basics or just want to try it for the first time. 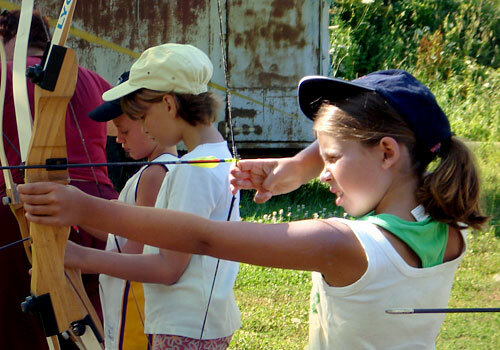 They also offer lessons that might get you interested to start learning basic archery. You can purchase the right type of bow for reasonable prices too. The goal of having a hobby is to enjoy and have fun. An archer should always focus on how they can improve their skills instead of worry about other things. This can release stress and make the game more fun. Archery has a series process that you need to follow to achieve that perfect shot. Because of this, it helps improve patience especially for kids. It’s possible to practice archery in both indoor and outdoor spaces. There are many clubs that lets you practice the sport indoors when it’s the rainy or winter season. This means you can practice the sport all year round if you are really serious about improving your skills. There are many people that come from different places and different walks of life that enjoy archery. These archers are from different age groups and there can be as young as 6 year olds that practice the sport. Because of this, people are exposed to diversity and learn more about teamwork and the fun of competition.